When you're on the go, lightweight headphones that fit in your ears can make more sense than Beats-style cans—and you don't always have to sacrifice sound quality if you get them. For $100 or less you can get stellar audio in a wireless or wired package, or go for pure savings and get decent earphones for as little as $15. Here are our picks for the best portable headphones under $100. If you're a Consumer Reports member, you can find a detailed breakdown on everything from sound quality to comfort for the 150-plus other headphone models in our ratings. The 1MORE E1001 Triple Driver is among the top-scoring models in our portable headphone ratings. As the name implies, it delivers high-quality sound using three separate drivers for bass, midrange, and higher frequencies, which is usually reserved for more expensive models. This one comes with nine pairs of eartips to help you secure the right fit. It also has a three-button inline remote and microphone that lets you take calls and control the music player on Android and iOS devices. The Scosche SportFlex 3 is a steal at around $15. 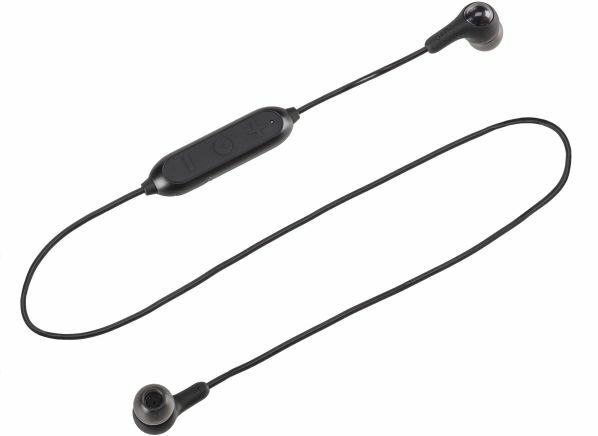 According to our tests, these earphones produce better sound than some models that cost 10 times as much. The manufacturer claims the SportFlex 3 is water-resistant. It also comes with built-in call and audio-playback controls that work with iPhones and most Android devices. 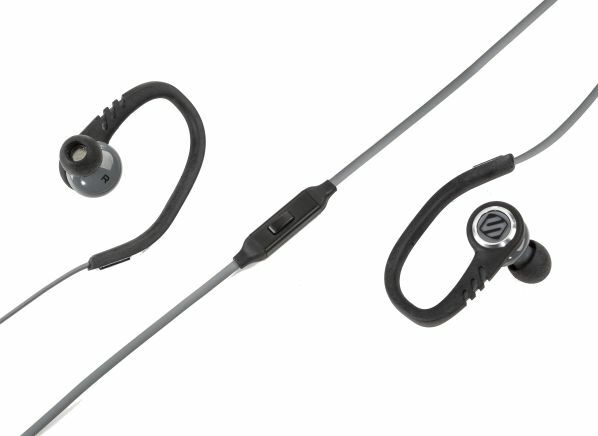 And the ergonomic, adjustable ear hooks hold the earpieces in place during a workout. 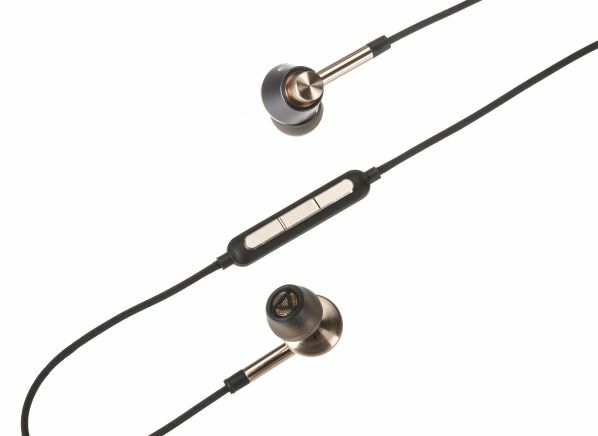 Those ear hooks also make the earphones a little bulkier than others, however, and that can take away from comfort and fit for some users. If you’re looking for other options in the same price range, the $15 Panasonic RP-TCM125 is a decent alternative, though the sound quality isn't quite as good. 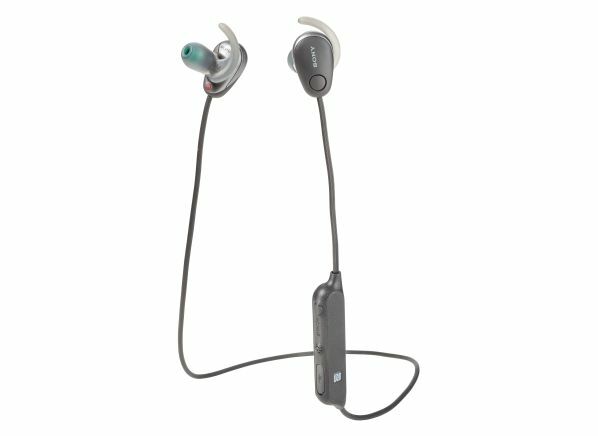 Earning 1MORE's second appearance on this list, the iBFree Sport is no audio slouch, and the $60 price makes it even more appealing. The model delivers dependable sound quality, has inline controls for calls and music playback, and features a water-resistant design, according to 1MORE. And with its advertised 8-hour battery life, the iBFree Sport should keep you moving whether you're out for a run or settling in to your commute. For Bluetooth on a budget, it's hard to outdo the JVC HA-FX9BT Gumy Wireless. These earphones produce above-average, if unremarkable sound. But for just $20 they represent a great value. The HA-FX9BT has built-in controls that let you answer calls and play, stop, and skip tracks, and they come in six appealing color schemes to help you coordinate your listening with your wardrobe. The advertised 5-hour battery life isn't great, but it will get most users through the day. 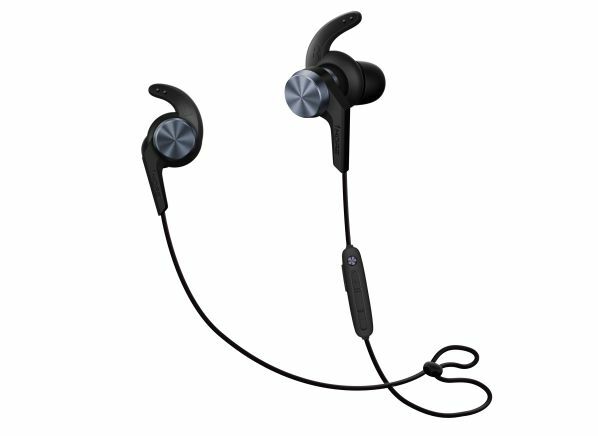 The JLab Audio JBuds Air, $50, delivers impressive sound quality, beating some competitors in the true wireless category that cost more than twice as much. 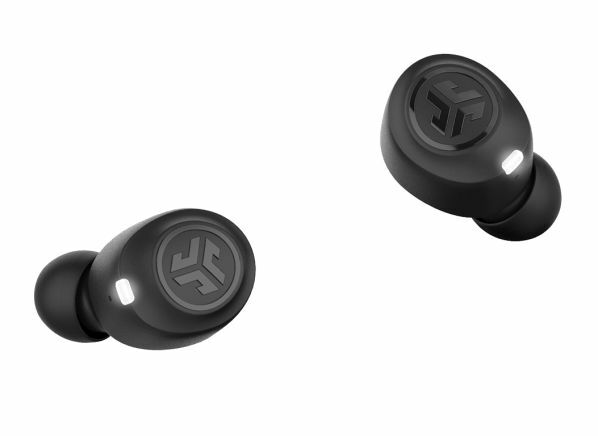 The JBuds Air has an advertised 3.5-hour battery life—fairly standard for a true wireless model—and comes with a charging/carrying case that will recharge the earphones for an additional two cycles. Additional features include support for various digital assistants, three switchable EQ modes to change the tonal balance of the sound, and, according to JLab, water resistance, a feature we don't test. Like many true wireless headphones, users with small ears may have trouble getting a secure fit. So before you buy a pair, you may want to try them on or check to make sure the retailer has a good return policy. Consumers looking for noise-canceling headphones were once forced to choose between suboptimal performance and a hefty price, but today there are a number of great budget options. Chief among them is the $90 Sony WI-SP600N, which has great noise-canceling capabilities and sound quality to match. According to Sony, the WI-SP600N operates for up to 6 hours and features a quick-charge function, which provides 60 minutes of playback after 15 minutes of charging. It's advertised as water-resistant and has call, volume, and playback controls. It also includes an integrated button to toggle an ambient sound monitoring mode that lets in noise from your surroundings when you don't want to be cut off from the outside world. On the 'Consumer 101' TV show, host Jack Rico and a high school marching band puts Consumer Reports’ anechoic chamber to the test to find out what it sounds like when you remove all echoes from music.